BLACK GOLD had it's World Premiere at the 2006 Sundance Film Festival, and went on to be seen in over 60 international film festivals including London, Rome, Berlin, Melbourne, Hong Kong and Rio de Janeiro. It has been released in cinemas, and on DVD, in the US, Canada, UK, Germany, Spain, Netherlands, Scandinavia and Japan and has been broadcast on TV stations around the world including US (ITVS: Independent Lens), UK (Channel 4), Japan (NHK), Israel (DBS/YES), New Zealand (Documentary Channel), South Africa (SABC), Korea (EBS) and the Middle East (Al-jazeera). We estimate that several million people have seen BLACK GOLD worldwide and millions more have learnt about the coffee crisis and trade justice through the vast media coverage of BLACK GOLD. Features and reports have appeared on TV, radio and in print including CNN, BBC, Al-Jazeera, Bloomberg, Washington Post, La Times, New York Times, The Guardian, The London Times, Daily Telegraph, South China Morning Post as well as a host of lifestyle business, film, consumer, and food/drink publications from Mexico to Sydney. Hundreds of thousands of people have visited the website of the film to find out more and take part in the forum. BLACK GOLD's cinematic, broadcast, and media success is only one part of the film's ongoing impact. Since the release, Tadesse Meskela's coffee has increased in price from $1.45/lb to a minimum of $2.30/lb, and his Union has tripled the amount of money being paid back to 130,000 farmers. In the first few weeks after the premiere, the film helped to generate donations, approx up to $25,000 to the coffee farming community featured in BLACK GOLD. The dilapidated school featured in the film was built. For the first time, large multinational coffee companies like Nestle, Kraft and Starbucks were brought under the international spotlight by a feature-documentary. Some have had to respond to questions live on television and radio about their pricing policies. Screenings and debates about trade policy and development have taken place in important political institutions including; the World Bank in Washington, EU in Brussels, and the UN in New York, and the House of Commons in London where Tadesse Meskela was invited to 10 Downing Street to deliver his message directly to former Prime Minsiter Tony Blair. 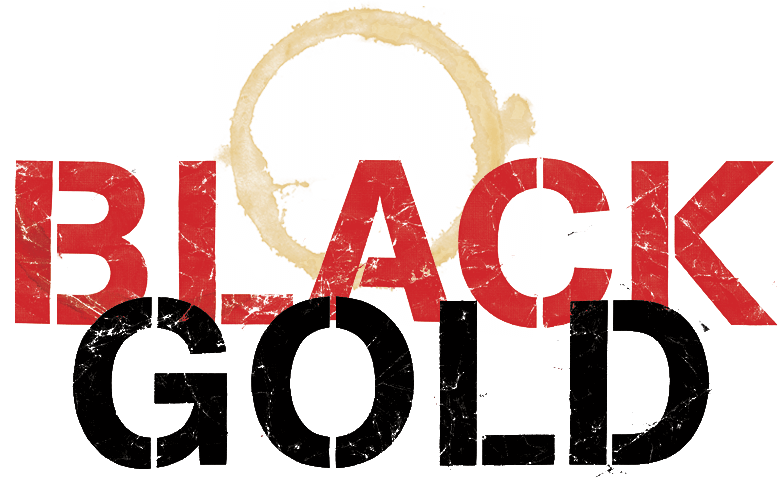 Hundreds of NGOs, organisations, educational establishments, and coffee companies/corporations have used BLACK GOLD as a tool to build a campaign or educate their employees/students about the issues of fair and ethical trade. In one particular case, BLACK GOLD was used by the Ethiopian Intellectual Property Office to campaign to Starbucks to recognise the intellectual property rights of Ethiopian coffees.